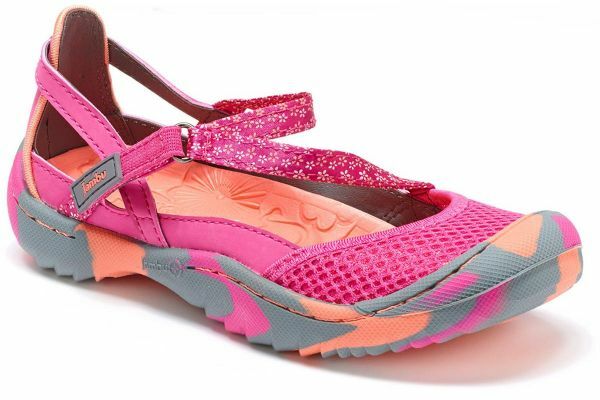 Stylish, trendy, and outdoor-ready, the Dawn 2 is the perfect shoe for any occasion. This Mary Jane is designed with our unique floral printed strap as well as a breathable mesh near the toe. The Dawn2 features our unique asymmetrical hook and loop closure system that is easy to adjust, our signature bump toe for that extra protection, and our gripped non-marking rubber outsole.